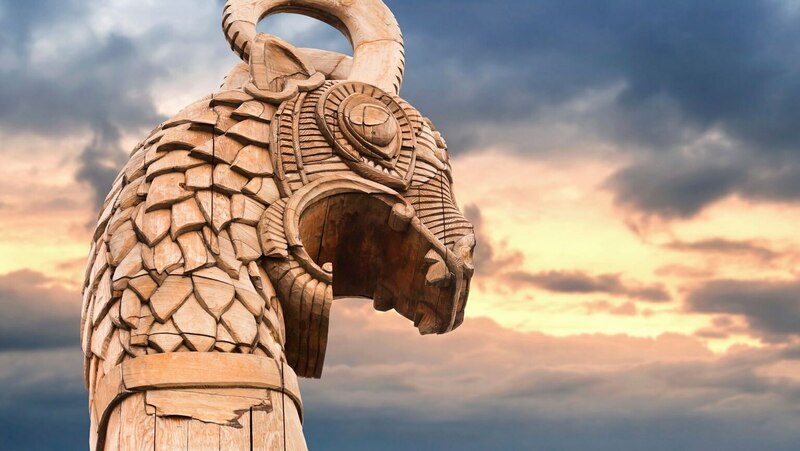 As a non-urbanized culture, Viking society expressed its visual genius in elaborate woodcarving and intricate jewelry, not architecture. Gods were represented by charming cult statues and contacted through magical runic drawings. Without writing, great myths and legends were transmitted in great halls by poets, playing a harp and composing spontaneous, witty, and metrical verse.